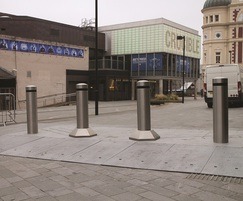 Macs is delighted to announce that it now offers the supply of Heald’s Matador surface-mount sliding bollards system. Further complementing its range of automatic telescopic and crash-rated bollards, surface-mount Matador bollard systems offer a combination of IWA-14 tested physical security, automatic bollard operation and simple surface-mount installation. With a constant drive for customer satisfaction, introducing the Matador 3 means Macs can now offer the most resistant bollard of its type on the market, due to the internal reinforcement many other bollards don’t have. The Matador bollard consist of a plate mounted with both fixed security bollards and automatic sliding bollards. 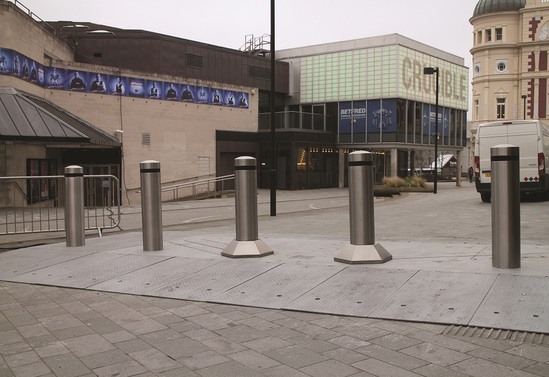 The design of the bollard system not only offers enhanced security, but also a lower profile base plate and a reduction in visible moving parts, making the Matador system perfect for use in areas where constant pedestrian access is required.